While many people flock to The Centennial State during the ski season (me included! 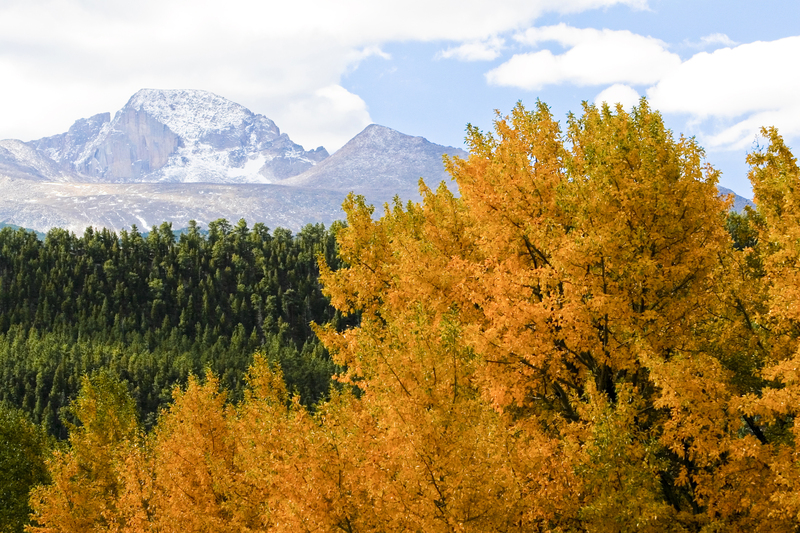 ), fall is when the state truly lives up to its other nickname—Colorful Colorado. And what better way to see it all than to hop in the car and start blazing trails? 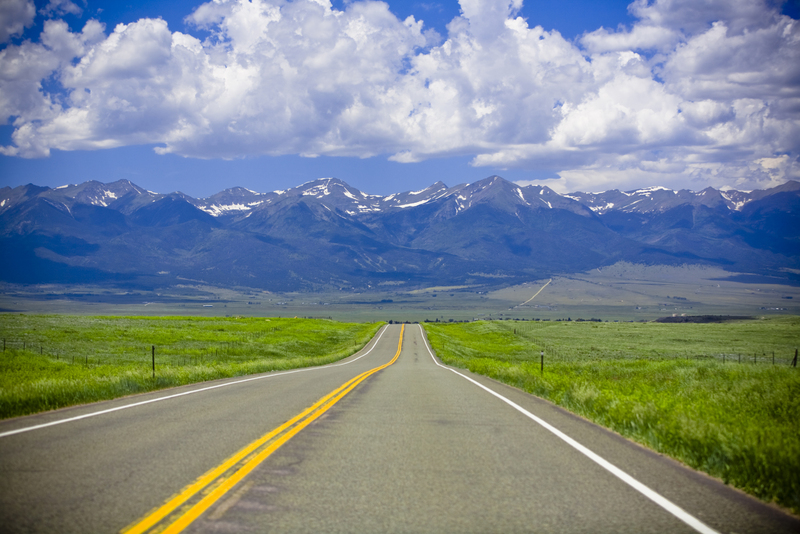 Colorado is actually home to 25 Scenic and Historic Byways (11 of which are also America’s Byways), celebrating their 25th anniversary this year. 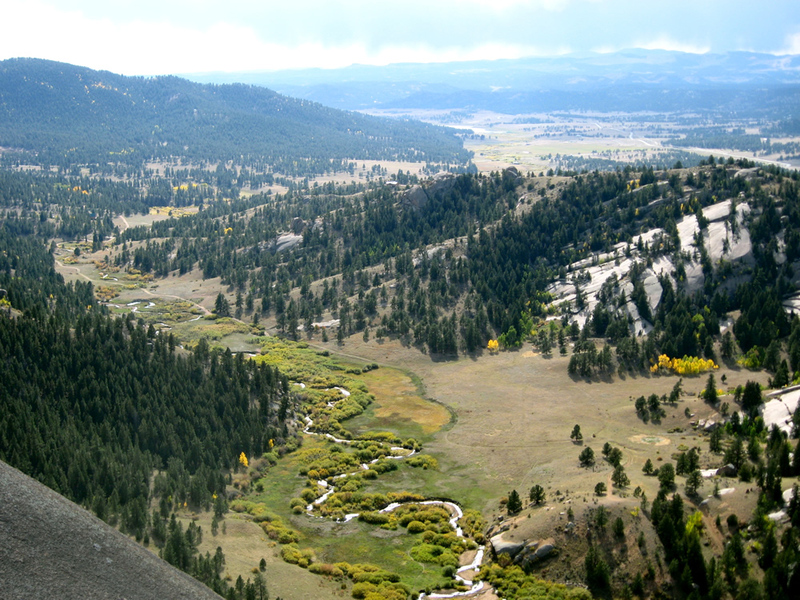 A route was once used by settlers connecting the northern plains of Colorado to the Green River settlement in Utah, the Cache la Poudre drive (which means “the powder’s hiding place” in French) follows the Poudre River up to Cameron Pass. Along the 101-mile (three-hour) drive from Fort Collins, you’ll see raging river rapids, Colorado’s state mammal (the bighorn sheep) and spectacular views around the bowl-shaped basin of North Park at the top of Cameron Pass. Tip: Remember to bring your binoculars, so you can get a good look at the area’s bustling habitat of wildlife. Start your engine in Pueblo, and take in the sights of the high plains—where you’ll see buttes and flatlands that lead to the south side of a 4,646-acre lake at Lake Pueblo State Park. Continue 25 miles to the town of Wetmore, which separates the Great Plains from the edge of the Rocky Mountains. At the crossroads of Highway 96 and Highway 165, you’ll have to choose whether to go west or south. The western route hits the San Isabel National Forest and sister towns of Silver Cliff and Westcliffe. Meanwhile, the southern route leads to the modern-day structure Bishop Castle and Colorado City (a great place to try some local cuisine). Tip: Keep your eyes peeled on this 103-mile (three-and-a-half-hour) drive, for gray fox, mule deer, elk and pronghorn. This 131-mile (five- to six-hour) route features rolling mountain parklands and deep rocky canyons. Once known as the “Roads to Riches” route, connecting Cripple Creek to Victor Mining District, this road was also the world’s largest gold rush artery to Florence, Cañon City and Florissant. Along the way, you’ll climb from 5,500 to 9,500 feet in elevation and visit Phantom Canyon Road (a road speckled with green spotted canyons and eerie ghost towns). Tip: Toward the beginning of the route, be sure to stop at the Florissant Fossil Beds National Monument to see fossils dating back to 34 million years ago. This Scenic Byway can fulfill a bucket-list wish, thanks to its honor of being the highest paved road in North America at 14,130 feet above sea level. Along this 49-mile (two-hour) drive, you’ll see sparkling alpine lakes, monumental granite walls, glacier-cut valleys, rocky peaks, and statuesque mountain goats and bighorn sheep. Tip: On the way back down, take some time to soak in the hot springs at the Indian Hot Springs resort (located in Idaho Springs). This is one of my favorite hot springs in the area, thanks to its geo-thermal cave baths. 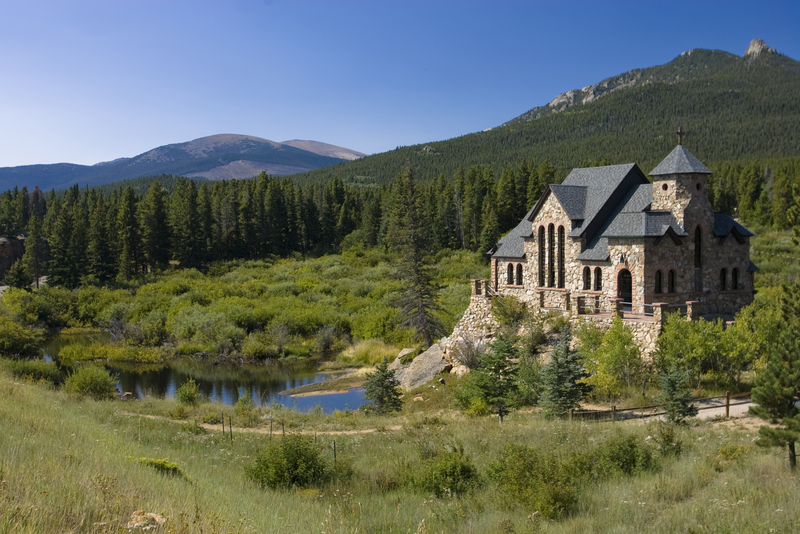 This 55-mile (two-hour) drive from Estes Park to Black Hawk is Colorado’s oldest Scenic Byway (established in 1918). 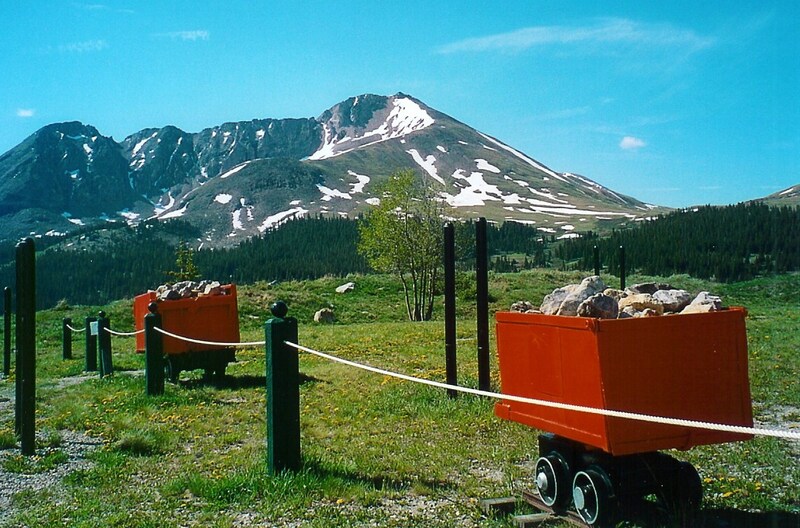 The route travels through Rocky Mountain National Park (celebrating its 100th anniversary in 2015), Golden Gate Canyon State Park, Arapaho and Roosevelt National Forests, and Eldora Mountain Resort ski area—offering glorious mountain and high-country lake scenery. Tip: Make sure to take an off-the-beaten path detour through the ghost towns of Hesse and Apex. 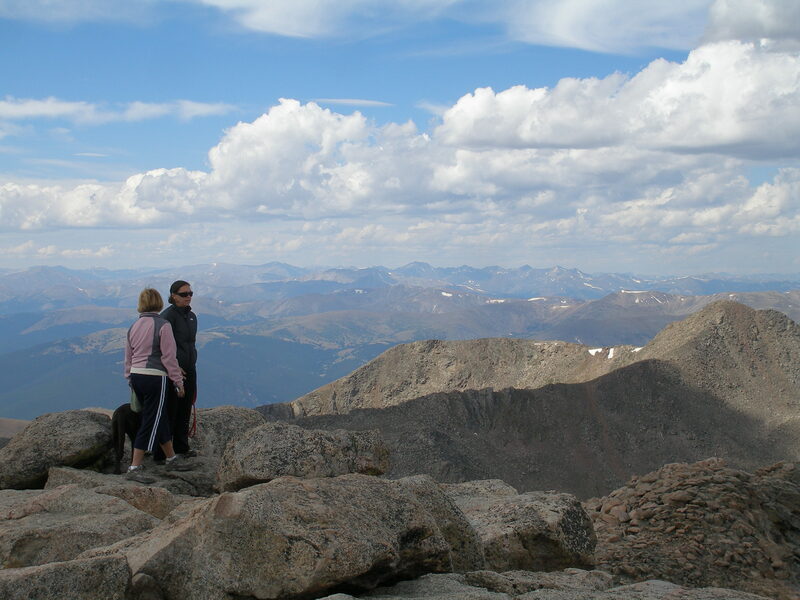 Or, just west of Eldora, take your hiking boots on an easy trek to Arapaho Glacier. 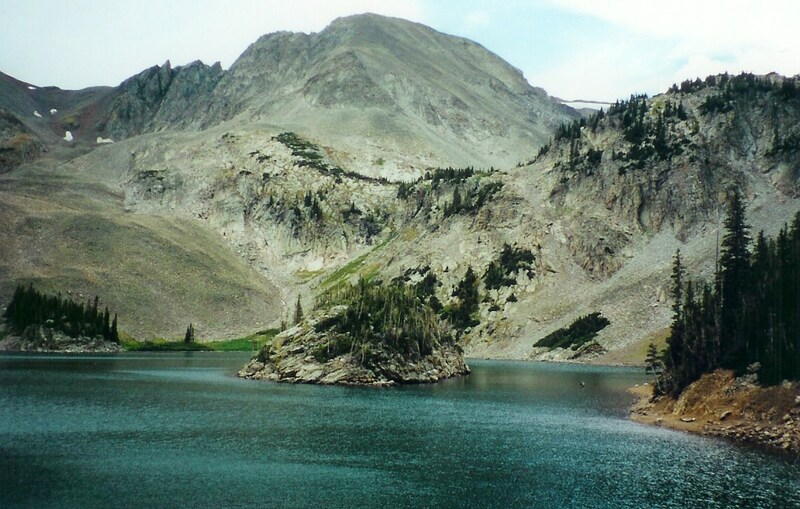 This 19-mile (two hour) route climbs from 7,400 feet to 14,115 feet and is filled with lakes, mountains and wildlife. Tip: Once at the top, try a world-famous doughnut at the Pikes Peak Summit House—it’s the only doughnut made at an altitude above 14,000 feet. And, along the way, you can hike or bike to burn off those calories! Colorado’s two tallest peaks—Mount Elbert and Mount Massive—are the highlights of this 115-mile (four- to five-hour) scenic drive, which also includes Independence Pass. You’ll pass the beginning of the Arkansas River, the town of Twin Lakes in San Isabel National Forest and Leadville (the highest incorporated city in the United States). Tip: For an added bonus, check out the wildflowers while biking Shrine Pass, or go trout fishing in Missouri Lake. Make a day of it on the Silver Thread Scenic Byway, which passes through two of Colorado’s historic districts. The first of these is Lake City, boasting one of the largest collections of preserved buildings from the 1870s. The second is Creede, which is home to the Creede Repertory Theatre (a landmark that USA Today called “one of the best places to see the lights way off Broadway”). Also along this 120-mile (two- to four-hour) route, you’ll see the 800-year-old Lake San Cristobal. 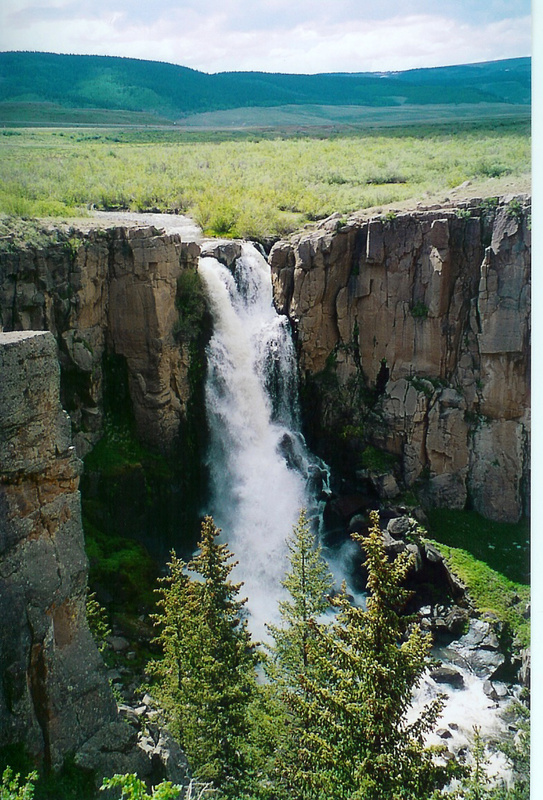 Tip: If you wander off a bit on Forest Road 510, you’ll see stunning views of North Clear Creek Falls. Take a drive through Rocky Mountain National Park on the 48-mile (two- to three-hour) Trail Ridge Road, but you better do it soon. This highest auto road in the country gets heavy snowfall (so it’s only open through late October). Along the way, you’ll see elk, glacier-carved valleys, the Continental Divide and breath-taking peak summits. Tip: Stop by The Stanley Hotel in Estes Park, the hauntingly beautiful hotel that inspired Stephen King’s novel The Shining. Also, head to Grand Lake, which is the largest natural lake in the state. This is one of Colorado’s longer drives, but it’s worth every second. 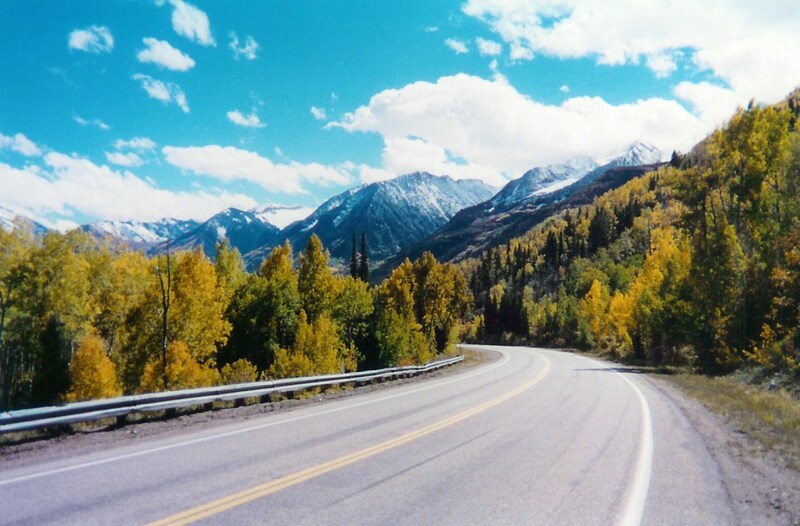 This 205-mile (eight- to 10-hour) route passes through three gorgeous mountain towns—Marble, Gunnison and Crested Butte. Each offers something unique: Marble is the old mining town that provided the marble for the Lincoln Memorial and the Tomb of the Unknown Soldier in Washington, D.C.; Gunnison offers the interesting mix of a ranching community and a university; and Crested Butte (designated as the Wildflower Capital of Colorado) will make you feel as if you’re in the middle of a Money painting. Tip: Pass by Black Canyon in Gunnison National Park. Thanks for the great trip ideas.